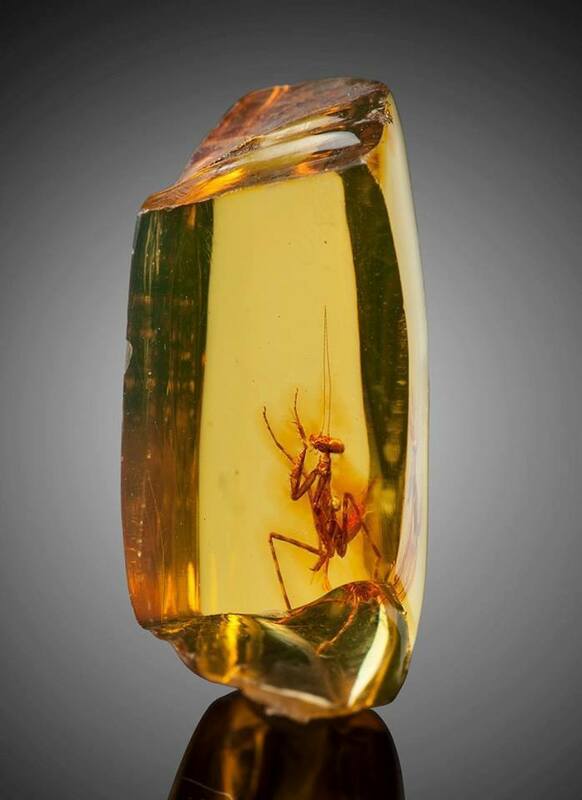 It is uncommon to find larger creatures in amber since they usually have the muscular wherewithal to escape the engulfing tree sap before it can become a golden tomb. Top predators of the insect world such as mantids (relatives of termites and cockroaches) are only rarely encountered as fossils despite their having been around since the early Cretaceous of Siberia some 135 million years ago. Only 25 species are known from what must be a long evolutionary history.